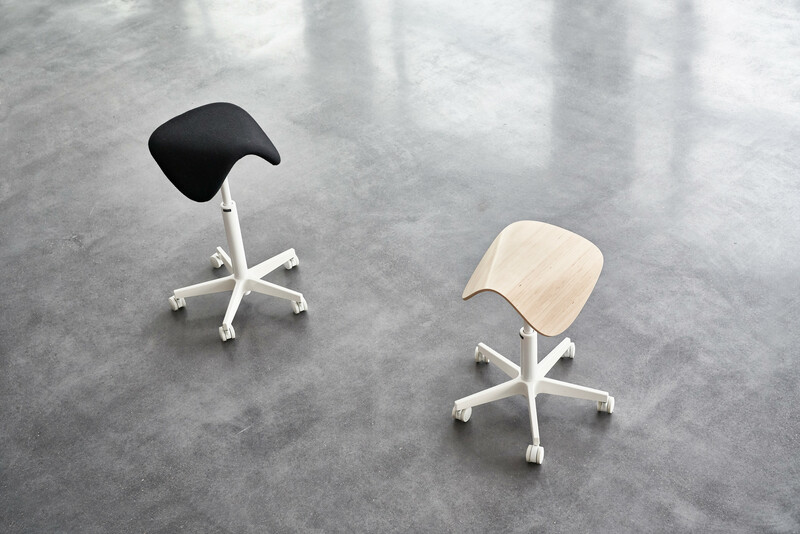 Isku’s design chair novelties help battle against the disadvantages of sitting. Disadvantages of sitting are not strange to anyone anymore. Working in the same position for hours can cause back pain or problems in blood circulation or even in the heart. Movement and position-changing are the best way to avoid these ailments. That is why Isku launches at Stockholm Furniture Fair chair novelties which activate the user while sitting. The most innovative of the novelties is Idea work chair and conference chair series, which helps working in seated positions in a new way. 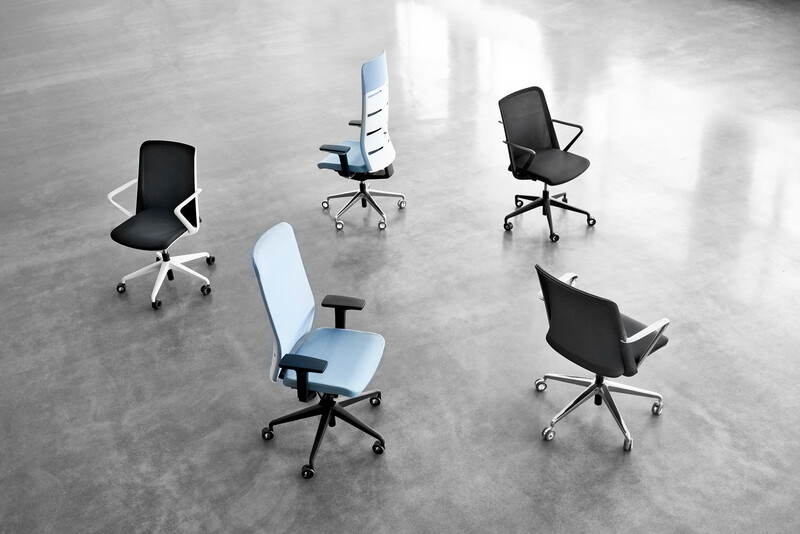 The work chair’s idea is in its back: it allows movement for upper back and shoulders but also supports lower back. “The design of the work chair is modern and trendy: it combines net back with upholstery. 3D upholstery in the back is beautiful, translucent and woven with a new technology. It was important for us to create a modern chair not only ergonomically but also design-wise, so that it would come to active use for many people”, says Director Antti Olin, Isku Working. Another activating novelty is Tutto Active chair which answers to the growing trend of saddle seats. Its specialty is a beautiful wooden seat, but you can get it also with upholstery. The design of the chair is familiar from Finland100 design contest awarded Tutto chair, designed by Mikko Laakkonen. Isku also brings other solutions to Stockholm fair that support active working. Stockholm stand’s attraction will definitely be Hangaround swing. Hangaround is fun way to sit but also an ergonomic alternative for the static sitting position. The swing gives you the tiny movement or change in body position that activates body and mind instead of sedentary position. It is also a great place for ideal meetings and brainstorming! Hangaround is designed by Kaisa Jäntti. We are also presenting Bench work desk family at Stockholm fair, designed by Juri Karinen. The design of Bench takes into account the number of electric devices that we use at the office. Electric cords find easily their place in the table. The Bench product family includes an acoustic screen that can be added and moved without tools. For learning environments, Isku introduces Spot which brings visual and sound cover for learning environments. Spot, designed by Petteri Häkkinen, offers a comfortable and acoustic space to hide and learn. With the light felt elements, students can build their own solutions for each space and situation. You are more than welcome to visit our stand A12:20 at the Stockholm Furniture Fair. Isku is a Finnish family-owned company established by Eino Vikström in 1928 in Lahti, Finland. Its products and services are renowned for their high quality. Isku designs and develops, produces and markets furniture, services and comprehensive interior solutions for homes, schools, offices, healthcare facilities as well as for all public spaces. In Finland, Isku has a number of its own sales and service centres. In addition to the extensive service network in Finland, Isku operates in the Nordics, the Baltics, France, Poland, Russia and the Middle East, and is involved in various projects all around the world. Isku has centralised its production to Lahti, Finland. Isku’s quality, environmental management and safety systems have been certified according to ISO 9001, ISO 14001 and OHSAS 18001 standards. Today, all of Isku’s production is PEFC certified. This means that all wood used in the production comes from sustainably and responsibly managed forests and the raw material’s chain of custody is known.